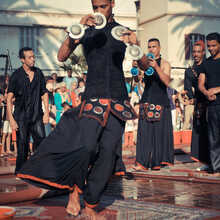 This contemporary dance performance is a creation of the Morrocan choreographer Khalid Benghrib. 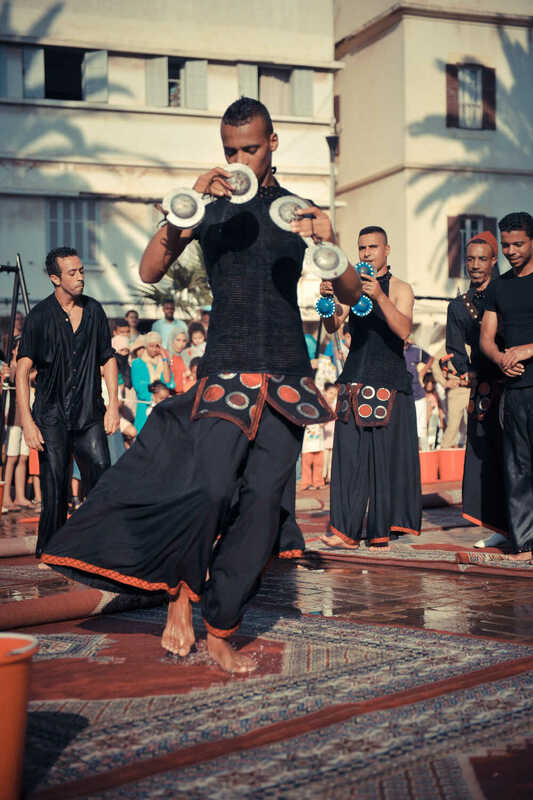 Khalid unites 5 dancers and 5 gnaoua musicians and offers a different perspective on gnaoua music. A fascinating choreography that ‘explores’ the quest for oneself and the other,…( with Hassan Boussou, Khalid Sansi, Nabil Sansi, Camilia Raissi , Asmae El Hamzoui, Chakib Aymahi, Ayoub El Mountassif, Mouad Aissi, Saïd Fakhir & Hassan Azouggagh). Khalid BenGhrib was born in Cassablanca, studied dance in the French city of La Rochelle, and performed with a.o. Carolyn Carlson, Heddy Maalem, Régine Chopinot, Jean François Duroure and Fabienne Abramovich. 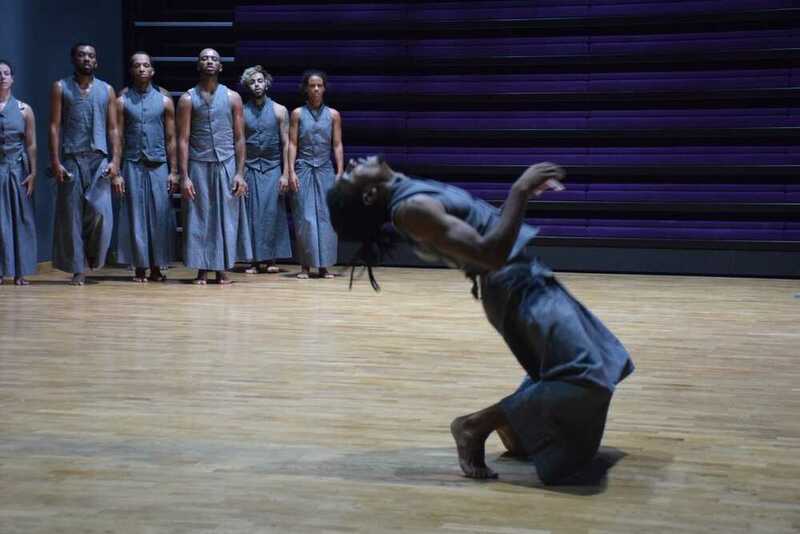 He is co-founder of Cie 2k_far, a prominent contemporary dance company in Morocco. 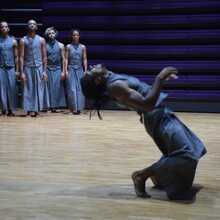 His dance creations are widely acclaimed and performed worldwide.